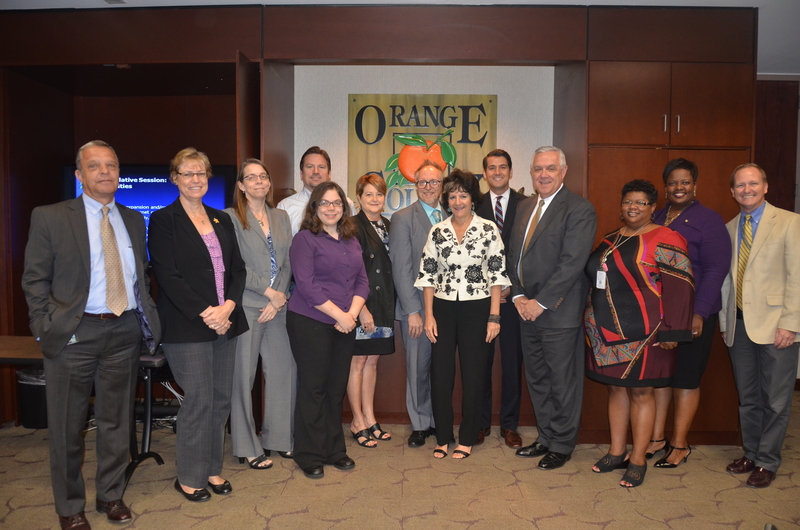 Orange County Mayor Teresa Jacobs and the Board of County Commissioners unanimously accepted the Orange County Sustainability Plan known as “Our Home for Life” on May 13. The plan, presented by the Sustainability Committee appointed by the Mayor, outlines incremental and transformative changes for the County through 2040 to improve the quality of life for current and future Orange County residents and visitors. The plan contains 37 goals that focus on seven target areas of impact –Community, Natural Resources, Mobility, Built Environment, Arts & Culture, Education, and Civic Engagement. The plan is the result of the Mayor’s Sustainability Initiative, which began in 2013 as an effort to plan for future population growth in a way that enhances our quality of life. An ad hoc Sustainability Committee was formed with the purpose of bringing together community leaders and subject-matter experts to create a plan for a more prosperous, healthy, and livable community by holistically addressing economic, environmental, social, and cultural issues. Former Orange County Commissioner John Martinez, Director of Public Finance for PNC Capital Markets LLC, assumed the role as chair of the committee. He and 11 other committee members worked to address the seven focus areas for the sustainability plan. External representatives were invited to participate on subcommittees whose first task was to develop a Sustainability Assessment—a snapshot of where the County is now, including challenges, opportunities, assessment of available metrics, recent accomplishments, and current initiatives. Once the Assessment was completed, more than 150 stakeholders including local professionals, interested persons, and local government representatives from throughout the County participated in developing the plan. In addition to input from community leaders who served on the Sustainability Committee and subcommittees, the County provided opportunities for public input at each Sustainability Committee meeting and at community workshops held in March and April 2014. The County also used PlaceSpeak, a virtual town hall discussion tool, to obtain input on the draft goals and strategies from anyone living or working in Orange County. To carry the plan forward, the Sustainability Committee recommended forming a Sustainability Advisory Board to oversee implementation, review progress toward meeting goals and targets, and make adjustments as necessary. Reports on Sustainability Plan progress to the Board of County Commissioners and the public will be made on at least an annual basis. A staff-level committee also will assist with implementing the plan and will work to integrate sustainability guiding principles throughout Orange County Government’s operations. For more information on Our Home for Life, please visit Orange County’s website, http://www.orangecountyfl.net/OpenGovernment/Sustainability.aspx.